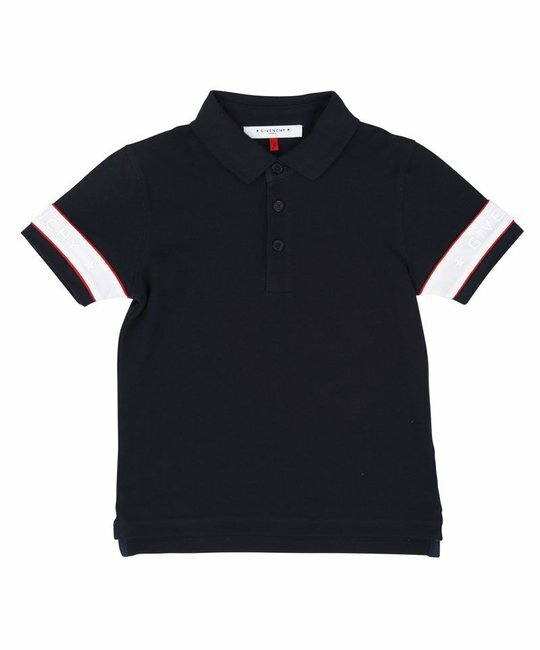 Givenchy soft black piqué stitch polo shirt with engraved buttons, logo band on bottom sleeves and bottom back. 100% Cotton. Imported.